Bruce Rauner's campaign continues to build a strong, broad-based support network as he races towards the Illinois Governor's mansion. First, it was a very strong "Democrats for Rauner". Yesterday, he went a step further with the release of his "Latinos for Rauner". And guess what? He has a running mate that gives his campaign the bonafides to make such a move. 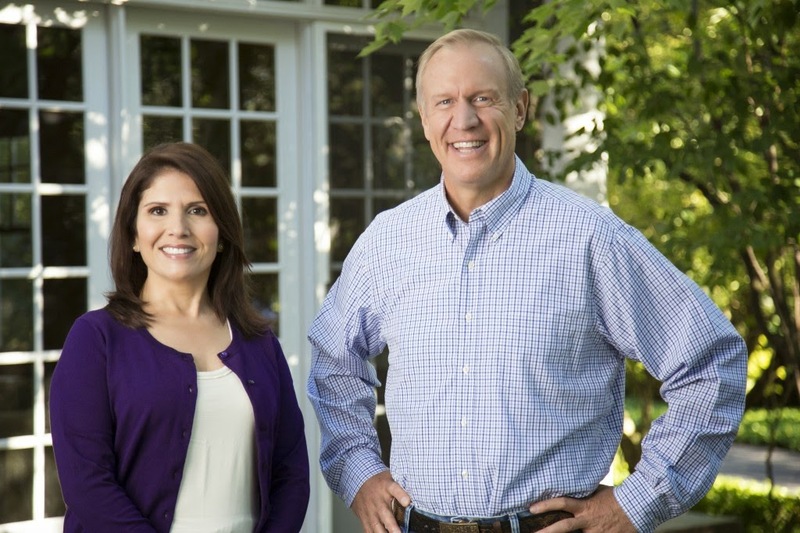 Gubernatorial candidate Bruce Rauner and running mate Evelyn Sanguinetti today announced the launch of Amigos de Rauner-Sanguinetti. The coalition consists of a broad range of Latino community and political leaders who endorse Bruce and Evelyn. Visit AmigosDeRauner.com and volunteer today!